re:iimmune® is a patent pending, ground breaking illness recovery formula. It provides Clinical Strength Hydration®, 14 probiotics, a prebiotic and a package of essential elements. 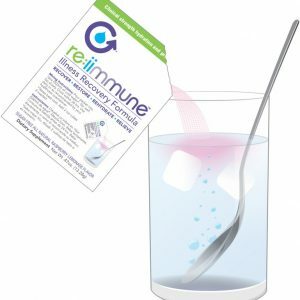 re:iimmune® is designed to help support your intestinal immune system and to help support your recovery from illness.